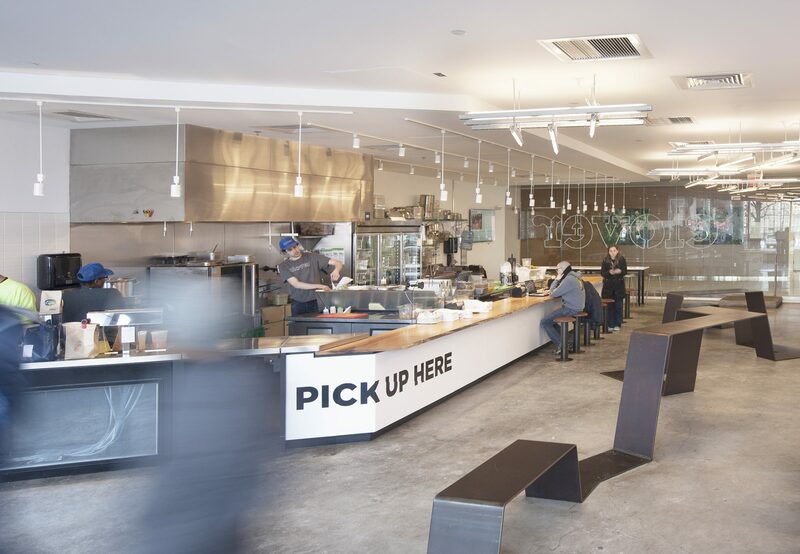 Part of a larger concept for healthy fast food, the Clover mission is to revolutionize the way food is produced, distributed, and ultimately consumed. 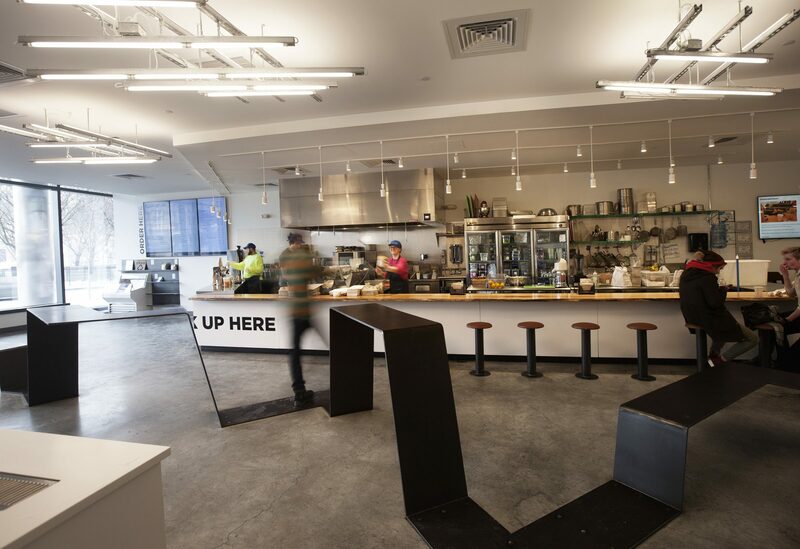 Through a system of local hubs, restaurants, pods, and food trucks, community networks are emphasized. Scaled up, this will have an enormous positive impact on the environment since the polluting capacity of modern food systems is on par to buildings and automobiles. 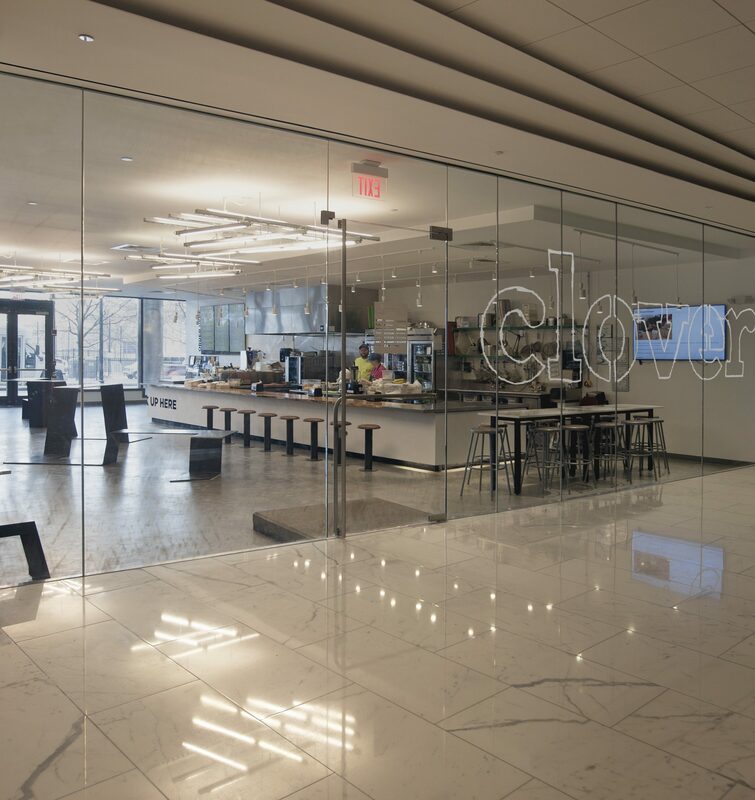 LMA is one of the latest iterations of Clover designs, which continues to play with the idea of reflectivity and transparency to create casual minimalism. 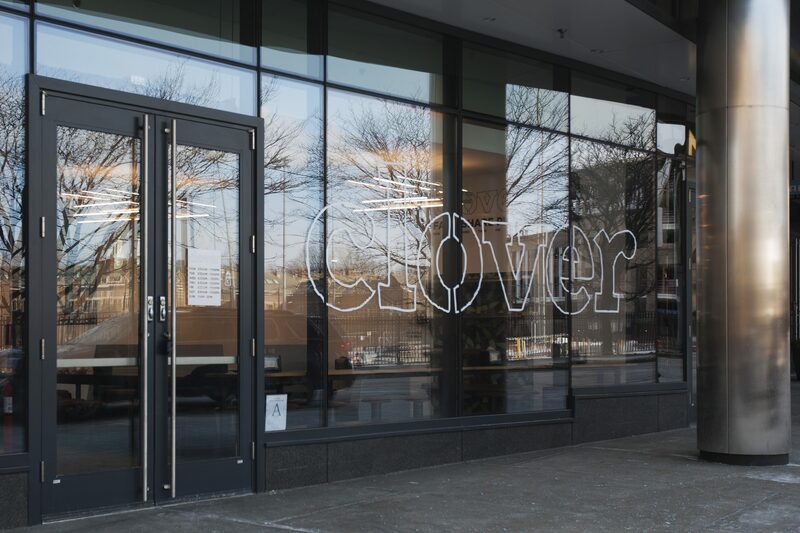 Clover LMA occupies the Longwood Center, where visual transparencies between the street front and internal common spaces are folded together. 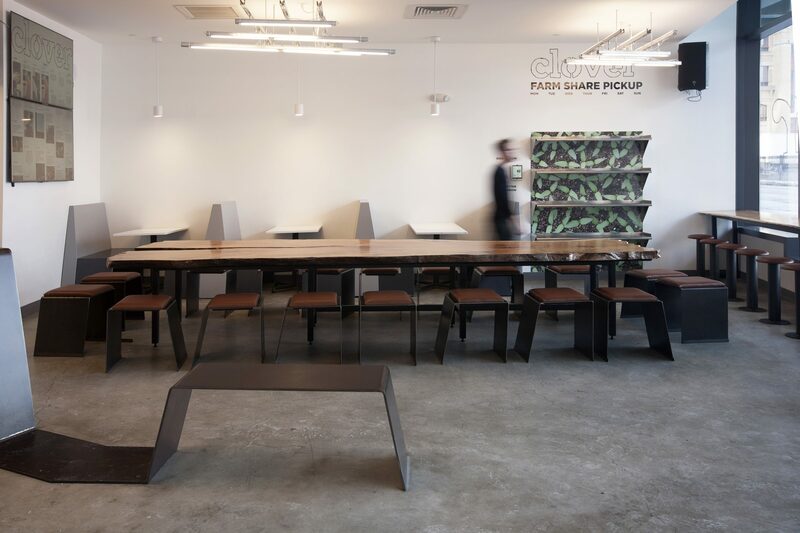 As in other Clovers, a rough sawn communal table gives gravity to the simple open space. 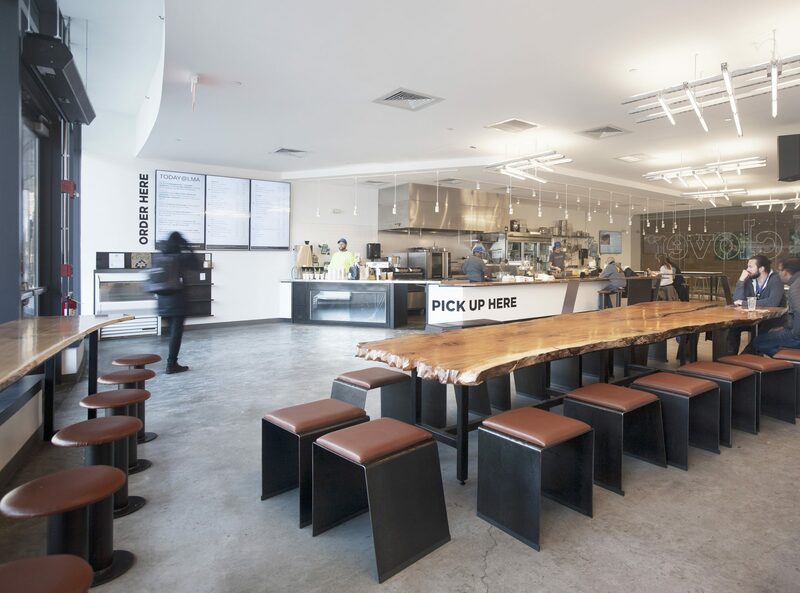 Simply angling one of the sides of the plywood bench allows customers to reconfigure the seating to create different social groups or to form storage pockets between the benches. A steel ribbon weaves through the space creating variations of seating, standing and walking conditions for temporary occupation.